DPF 6100XLP is a shop favorite for its excellent opacity and easy installation thanks to its bubble releasing, clean removing pressure-sensitive adhesive. This cast film has superior conformability around rivets, curves, contours and channels. 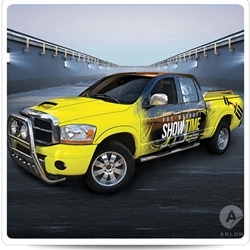 Your most discerning vehicle and fleet wrap customer will appreciate the smooth, paint-like finish and vivid graphic printability.